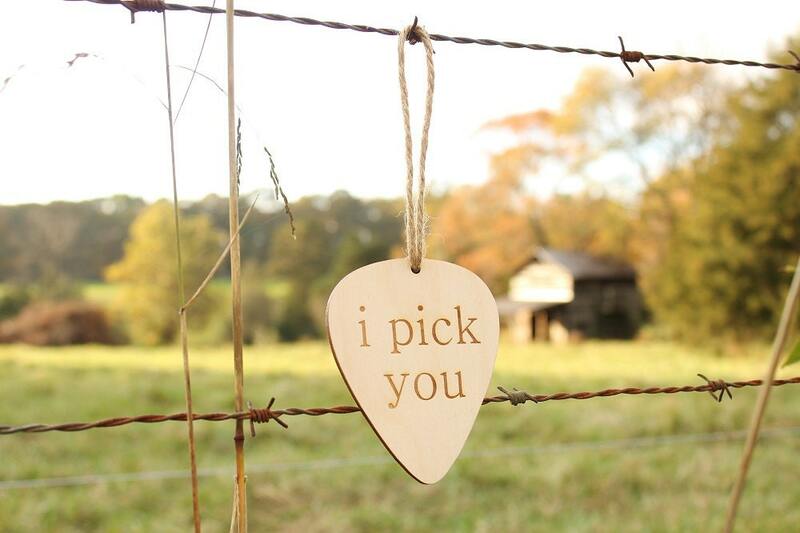 'i pick you' wood guitar pick ornament. 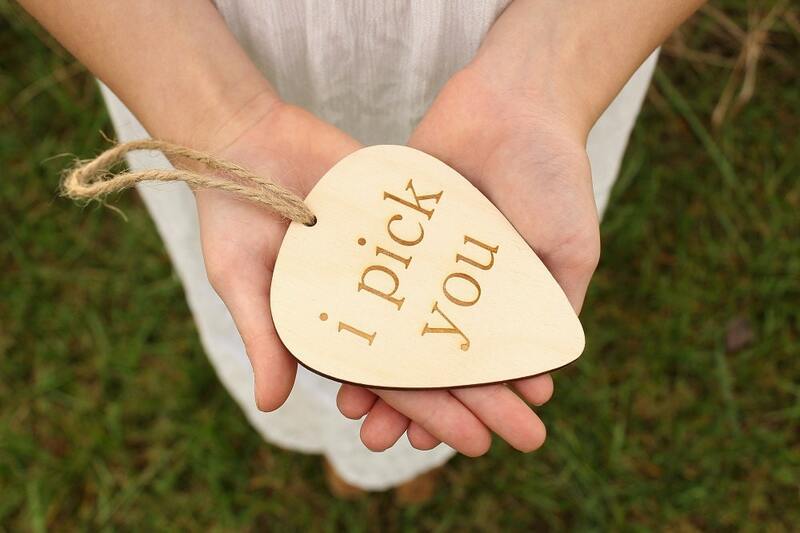 Perfect gift for that guitar playin' music lovin' person in you life.! 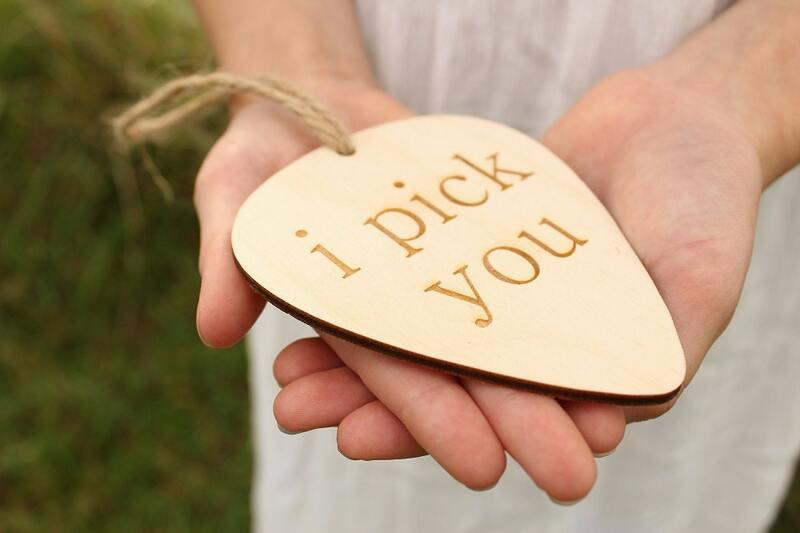 This ornament has been laser cut and engraved using 1/8" baltic birch. 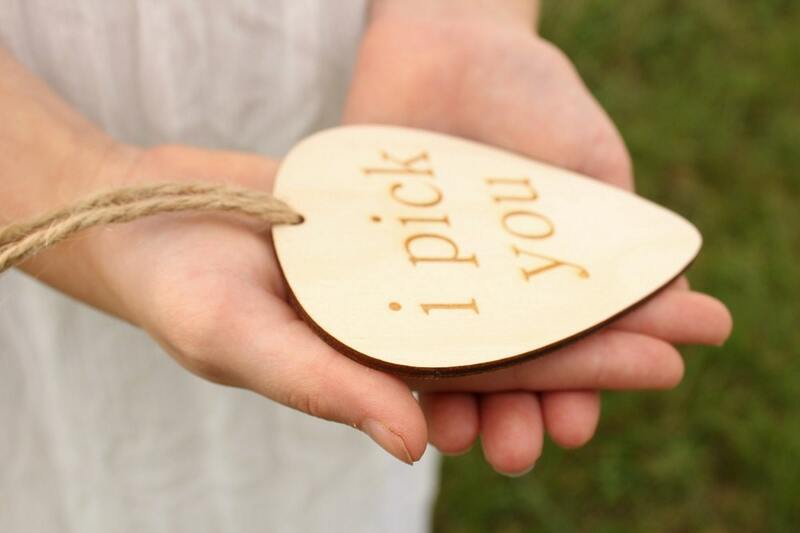 We can customize the ornament as well as engrave a custom logo on it, convo us for details. Ornament measures: 3.5" wide x 4" high w/jute twine hanger included. Our current lead time along with shop polices can be found here: https://www.etsy.com/shop/DownInTheBoondocks?ref=hdr#policies Please contact us with any questions you may have before ordering.. 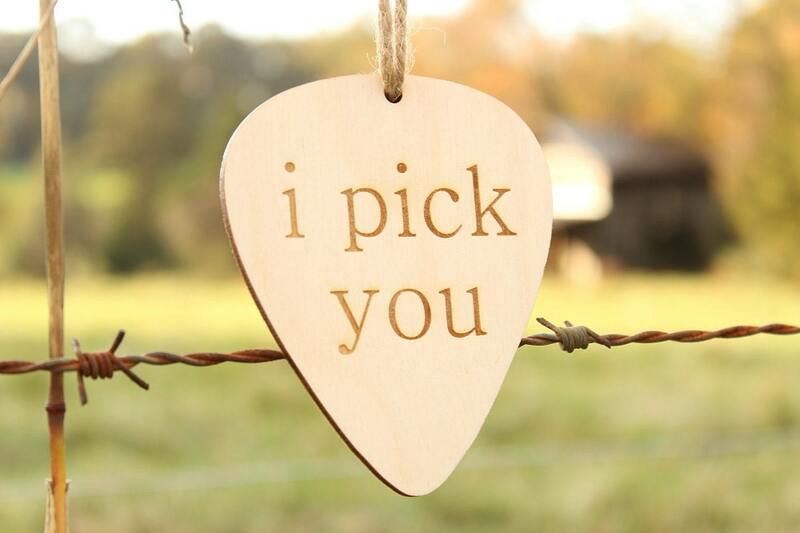 Very much like the I Pock You ornament. Since we are musicians it was exactly what i was looking for. Well made and he loved it! I ordered this for my daughter for Christmas with her name on it. She is going to love it!!! Thank you.